Well it's summer holidays so I have a little bit more time on my hands ! 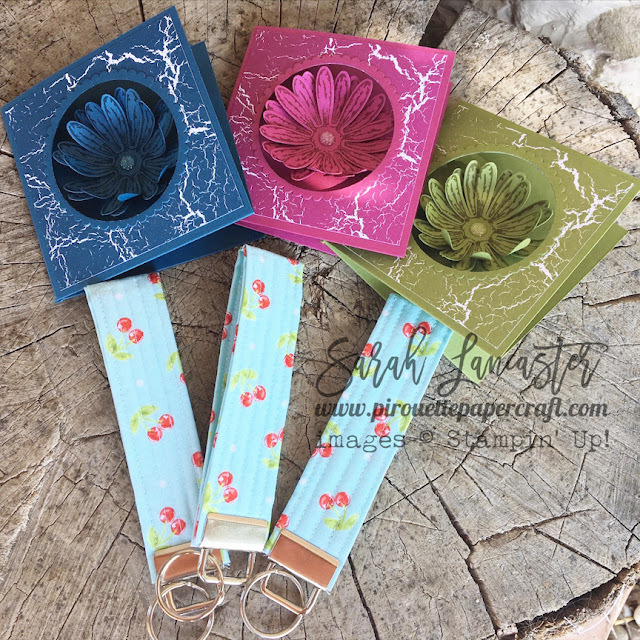 This month I made my top customers and my downline a little extra special hand made gift. 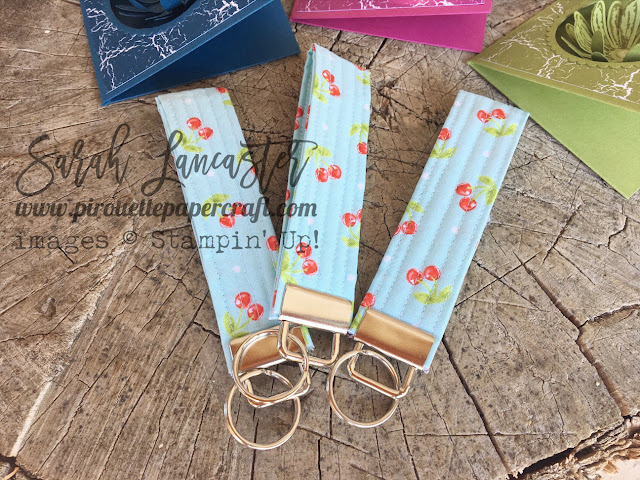 I whipped up some quilted key ring holders and sent them along with the normal hostess gifts that you get for shopping with me and using my Host code. I just love the summer fabric too. 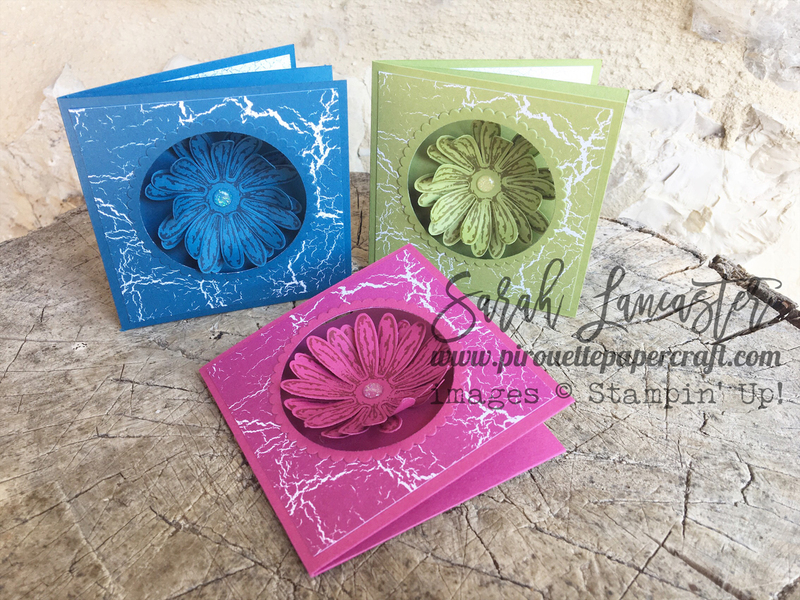 The card that I created was CASEd from pinterest but I adjusted it down to a 3 inch square so that I could use my new 2 ¼ inch punch to create the opening for the flower. I don't own one of the super large big shots so I couldn't die cut the opening. But I could punch it out and then add a matching layering circle framelit die cut in matching card stock. I hope you enjoyed my project today and I hope my lovely downline and customers enjoyed their goodies and treats for shopping with me in July.